The boys are back with their much anticipated preview on what we've all been waiting for... THE OFFSEASON!!! 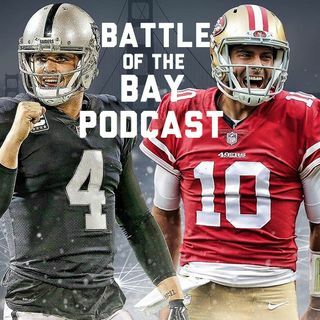 They break down the 49ers and Raiders top 5 needs as well as discuss the fallout of Super Bowl 53. Stay tuned for Michael's Question of the day at 46:36. Andrew wants to be Hawkeye. Michael wants to be Dr Strange (before accident). Landon wants to be Tony Stark.